One of the things I love about following various Instagram accounts is getting new ideas for where to hike. 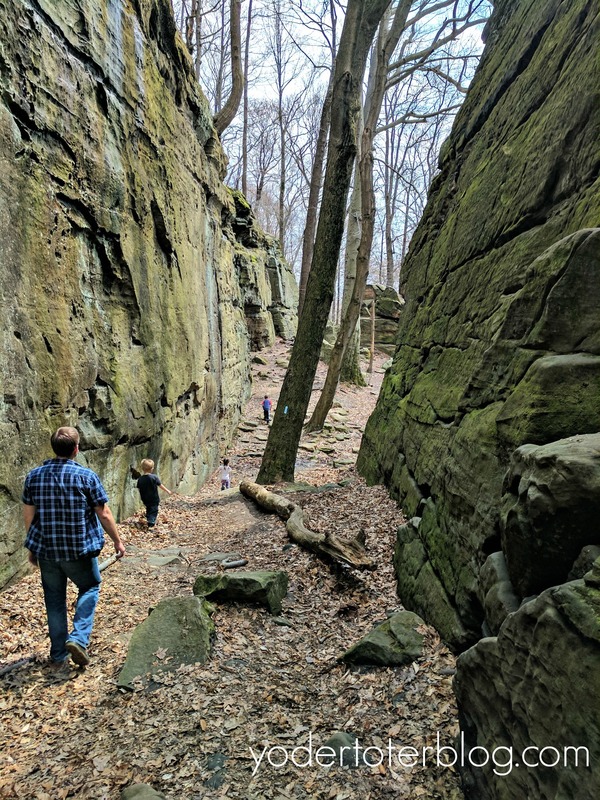 Hiking at Whipp’s Ledges within Hinckley Reservation was one of the places that caught my eye for our family. I fell in love with this type of typography after last year’s trip to Cuyahoga Valley National Park. 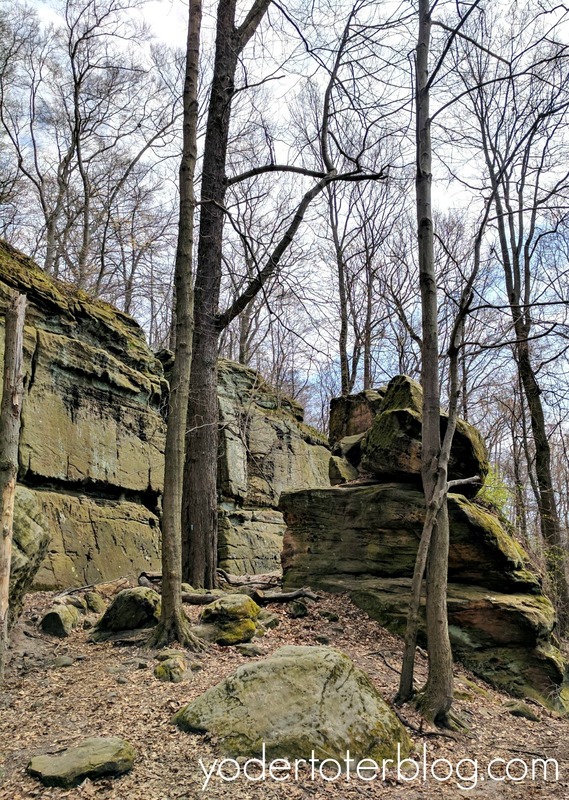 Whipp’s Ledges is part of the Cleveland Metroparks system in Northeast Ohio. While we only hiked the Ledges Trail, there appear to be 7 foottrails within the reservation, one of which is an all-purpose trail for hiking, biking and rollerblading. Whipp’s Ledges Trail is accessed from State Rd. There is a map at the entrance to the trail, but I’d recommend printing a trail map and taking it, just in case. There are blazes, but not many signs, making it a little confusing. The ledges are really spectacular. It’s hard to believe that this type of place is just minutes from shopping malls and restaurants. Ohio keeps surprising me, and this is a gem of a place to hike. The trails at Whipp’s Ledges are rough. I wouldn’t recommend these trails for any younger than 3. If you have a hiking carrier, you’d probably be ok! Also, prepare for MUD. Our kiddos wore their snow boots so we wouldn’t ruin their tennis shoes. The trail is only 1.25 miles in length, so it’s doable with young ones who tire easily. However, the start of the hike is a massive hill! 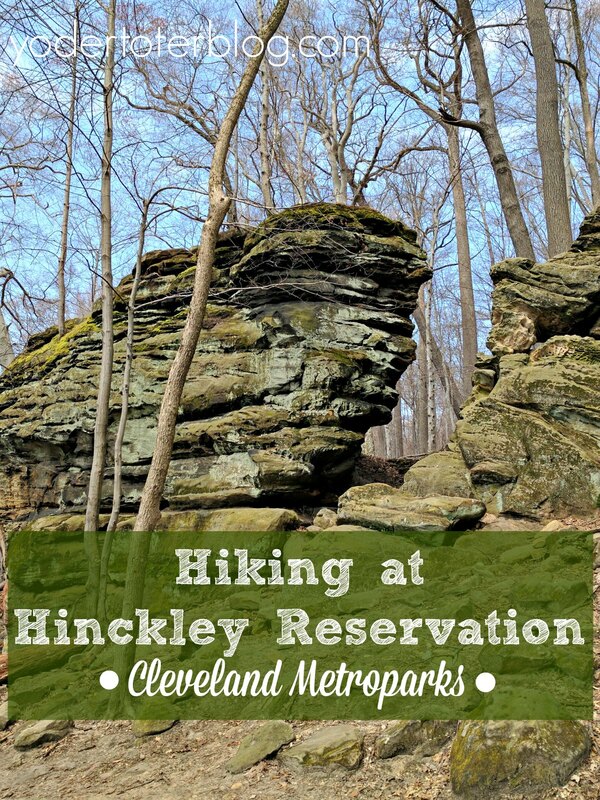 Anyhow- Have you been to Hinckley Reservation? If you’re interested in going, my friend Tonya at Travel Inspired Living covered nearby Worden’s Ledges. Next time we’ll definitely be checking them out.